Our range of services include laser alignment services and laser shaft alignment services. We provide laser alignment services to our clintes to enhance life of their valuable machines. 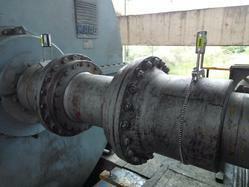 Alignmnet plays key role in minimizing the vibrations in an equipment. We do alignment with latest laser and bluetooth based instruments. We provide laser shaft alignment services to our clintes to enhance life of their valuable machines. Alignmnet plays key role in minimizing the vibrations in an equipment. We do alignment with latest laser and bluetooth based instruments. Looking for LASER ALIGNMENT ?